Heart kiss on the Lips. 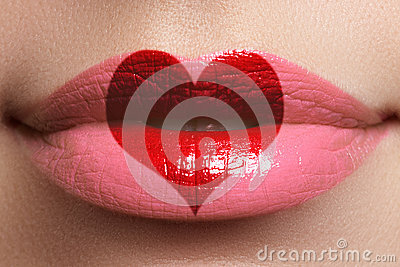 Beauty full lips with heart shape paint. Valentines Day. Beautiful make-up. Lipstick and lipgloss.